The Society of Obstetricians & Gynecologists of Pakistan (SOGP) is the oldest specialist professional body. Its foundations were laid in March 1957 when Prof.H.Dewattleville, President of International Federation of Gynecology & Obstetrics (FIGO) visited Karachi. He addressed the students, the staff members of the Dow Medical College, Karachi and member of the Pakistan Medical Council. He stressed the importance of having a Society of Obstetricians & Gynecologists of Pakistan. Later in the same year MBBS Examination, there was a meeting to discuss the formation of the Society. This was attended by 15 Gynecologists and Obstetricians including Professors from all over Pakistan. 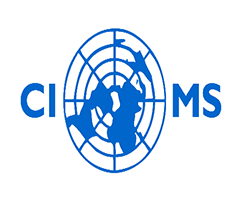 The aims and objects of the Society were discussed at length. As a result of this meeting the first ad hoc Governing Body of the Society of Obstetricians & Gynaecologists of Pakistan was formed with the following office bearers. Soon after, a preliminary constitution was drawn up by the constitution committee, which was formed at the first meeting of the Society on 24th June 1957. The constitution was published in August 1957 issue of the Journal of Pakistan Medical Association (PMA) after being circulated to the members. The Ministry of Health, Govrnment of Pakistan was informed regarding the formation fo the ad hoc governing body. It was dicided to have a Central Office in Karachi and to form branches all over Pakistan. 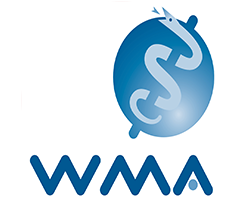 In 1958 there was another meeting of obstetricians & gynaecologists of Pakistan at the time of Annual Conference of Pakistan Medical Association(PMA) and the first elections were held. Dr. Samie of Lady Willington Hospital, Lahore was elected President as proposed by Prof. N. Seyal and seconded by Dr. Miss Sobani. Between 1958 and 1962 there were 50 clinical meetings at different places in Karachi including the Dow Medical College and Jinnah Postgraduate Medical Centre, and about a dozen Clinico-pathalogical Conferences. At these seminars and meetings gynaecologists of the city and professors from different Medical Colleges all over Pakistan were invited. Some foreign visitors also attended these meetings including Prof. Mclennan as a representative of Royal College of Obstetricians & Gynaecologists (RCDG) in May 1961, and Prof. Jeffcoate of Liverpool. On 15 November 1962 a general body meeting was held and was largely attended. Among those present were: Dr. Bilquis Fatima, Dr. Zubaida Aziz, Dr. Noor Ahmed Seyal, Dr. Alvi, Dr. Z. Sobani, Dr. Narges. Talani, Dr. Mahammad Said, Dr. A. S. Chaudhuri, Dr. S/ A. Siddiki, Dr. Shaukat Haroon, Dr. Masiur Rehman (East Pakistan) and twenty one other doctors. The meeting was opened by Prof. Chaudhri giving a summary of the activities of the Society. The 2nd Election took place in this meeting. The following were elected. Dr. A. S. Chaudhri, President (proposed by Dr. Seyal seconded by Dr. Bilquis Fatima). Vice President (West Pakistan) Dr. Bilquis Fatima (East Pakistan) Dr. Nurul Islam, Secretary, Dr. Shaukat Haroon (Proposed by Dr. Seyal seconded by Dr. Zubaida Azia), Joint Secretary (East) Dr. Masiur Rehman (West) Dr. Salar Aziz (Hyderabad), Treasurer, Dr. Alvi (Proposed by Dr. Haroon seconded by Dr. Chaudhuri) Executive Members: Dr. Seyal (Multan), Dr. Miss S. Siddiki, Dr. Z. Aziz, Dr. N. Talati, Dr. Shafqat Muneer (Peshawar), Dr. Qudsia Omar, Dr. M. Said and one member from East Pakistan. The amended constitution was read out and proposed for acceptance by Dr. Seyal and seconded by Dr. Alvi. This list of the elected members of the Governing body was sent to Ministry of Health. At this time it was decided to start a Journal of Surgery, Obstetrics & Gynaecology and several committees were formed. The Maternal Mortality Committee tried to collect data of maternal deaths in the form of confidential enquires from all over Pakistan, unfortunately the response was poor. The then President of the Society was and active member of a joint study group of Internaional Federation of Gynaecology & Obstetrics, and International Confederation of Midwives on International Survey of Midvifery practice and training. Due to unavoidable circumstances, elections could not be held for some time. Dr. Shaukat Haroon, the Secretary of the Society passed away suddenly on 27th July 1968 and Dr. Mahmuda Said who was already working jointly with Dr. Shaukat Haroon, was asked to take over the responsibilitis of the Secretary. During all this time, the Obstetrical and Gynaecological Session of the Annual Symposium of Jinnah Postgraduate Medical Center (JPMC) was used as a forum for scientific activities of the Society. 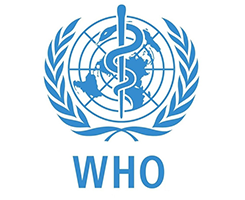 Two seminars were held in 1977 and 1978 with the collaboration of WHO. In March 1977, a seminar on Tumours of Female Genital Tract, and in February, 1978, on Perinatal Care. In March 1977, during the seminar of Tumours of the Female Genital Tract , a General Body Meeting was held and Prof. Zubaida Aziz was elected as President until the general elections. A constitution amendment committee was formed to amend the constitution to suit the changing circumstances (i.e. the separation of East Pakistan). This was done and the amended constitution circulated among members, finally passed after approval and reregistered. The meetings of the Society, including clinical conferences were now held on the first Saturday of every month in hospitals of the city. The general elections were held in February in 1979. The elections of the Society are held every three years. The Secretary and the Treasurer are elected from Karachi where the central office is located. The office of the President rotates between different provinces and the Vice Presidents are elected from provinces other than that of the President. Branches of the Society would be formed in all cities of the country where there was a medical college. Each branch would be headed by a local chairperson, who would be elected by the local members. These local office bearers would be accountable to the Vice President of the province, and would assist him/her in achieving the sole purpose of the local committee viz: promotion of continuing medical education. They would not represent the Society at national or international meetings. The membership fee raised by the branches would come directly to the main society account in Karachi. The immediate past President and the Secretary General would be inducted into the Executive Committee to ensure continuity and ease in organizing the affairs of the Society. The numbers of Executive Committee members would remain six. The Editor of the Pakistan Journal of Obstetrics and Gynaecology would be elected with each election of the office-bearers. It appraises the members of the activities of the SOGP. The results have been published as a monograph and in journals. Recently SOGP together with National Committee for Maternal Health (NCMH) and with the financial assistance of UNICEF (Sindh) has carried out a situation analysis of facilities for emergency obstetrics care in selected districts in Sindh. The salient findings have been published in the Journal of College of Physicians and Surgeons of Pakistan (JCPSP). Biennial scientific conferences are held every two years in different parts of the country. The last one was held in Lahore in October 2003. 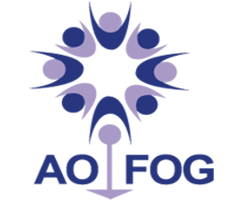 The SOGP works in close association with AOFOG. Members of SOGP server on the council of the AOFOG as well as on the editorial board of the Journal of Obstetrics and Gynaecology research of AOFOG. Dr. Shahida Zaidi, who has been on council for several years, has been elected as Vice President of AOFOG. At the same time, an Annual Meeting of ADFOG was held in Lahore and the council members served as resource persons for the Safe Motherhood workshop. 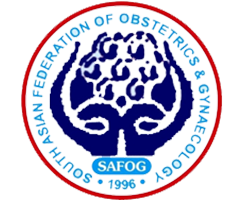 The first workshop on Safe Motherhood of the region organized by AOFOG and SOGP was held in Lahore in 1988 and attended by members from all Asia Oceania countries. Since then workshop on Safe Motherhood and Reproductive Health have been held all over Pakistan, Karachi, Larkana, Nawabshah, Lahore, Multan, Islamabad, Peshawar and Abottabad. AOFOG initiated they “Young Scientist Award” for young members interested in research. Our first nominees were selected in 1991 and presented papers in Bangkok at the XIIth AOFOG Congress. Since then many young awardees have presented papers both at the AOFOG and the FIGO Congress. 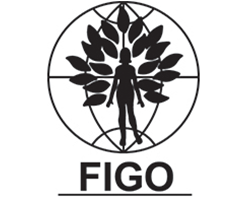 In 1997, at the 15th World Congress of International Federation of Obstetrics and Gynaecology (FIGO) in Copenhagen, Pakistan was elected to Executive Board of FIGO. Prof. R. L. Khan, the then President of SOGP was elected as a member. The first SAFOG Congress was held in Lahore in November 1996. A large number of participants from the SAARC countries (Maldives, India, Sri Lanka, Nepal and Bangladesh) participated and presented papers. The SOGP works in close collaboration with the national committee on maternal health (NCMH). It has conducted studies related to maternal health with the NCMH and participants in all its activities. SOGP also collaborates with CPSP, PMA and College of Family Medicine in their activities.